Loyal customers are valuable; churn is costly. These observations have become axiomatic and most communications service providers (CSPs) are conscious of the need to improve customer loyalty as measured by indicators, such as Net Promoter Scores (NPS). 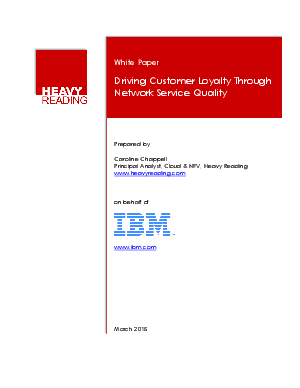 customers' experience, enabling CSPs to take appropriate actions to maintain both loyalty and profitability.